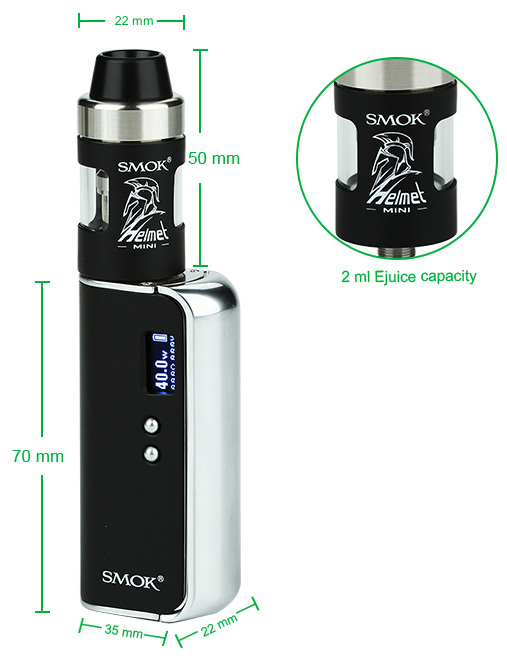 SMOK OSUB 40W TC Starter Kit, includes OSUB 40W TC MOD and Helmet Mini tank. With the pocket size and fashionable looking, OSUB has max 40W output and supports TC mode. It is very convenient to take OSUB with you. 5 colors for your selection. Good choice for a starter kit.